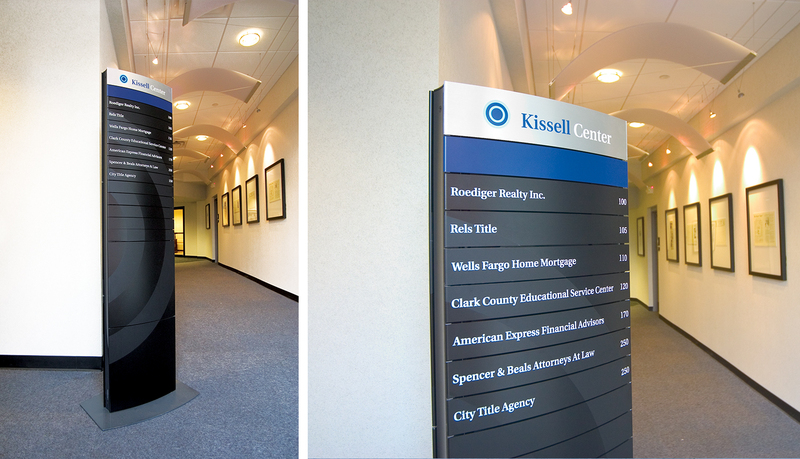 The Kissell Center was originally the home office of Harry Kissell, a pioneering figure in the home mortgage industry. The building had gone through several additions growing into the 37,000 s.f. 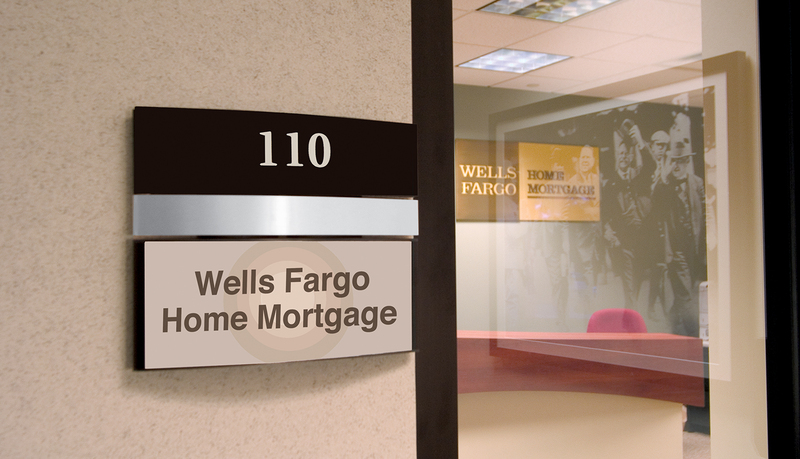 building that it is today. 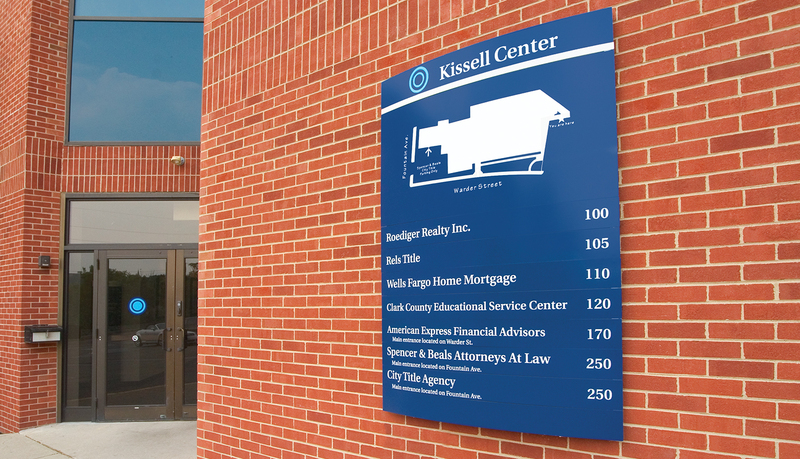 The general contractor, Laughlin & Scanlan of Springfield, OH, recently purchased and renovated the center and transformed it into a multi-tenant business office complex known as the Kissell Center. 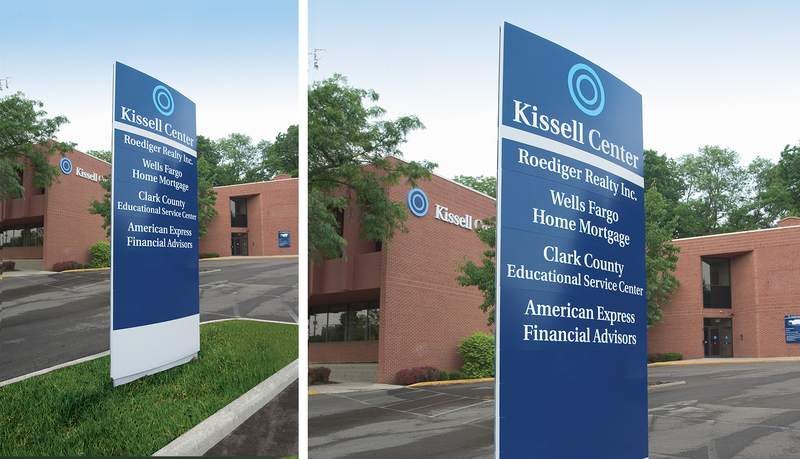 Laughlin & Scanlan needed a partner to create a complete interior and exterior signage solution to identify the numerous tenants of the center, effectively guide visitors to the right destination and effectively communicate the Kissell Center’s brand. 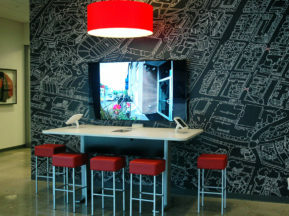 The signage solution had to be flexible enough to support future tenant changes while complementing the center’s modern interior design. 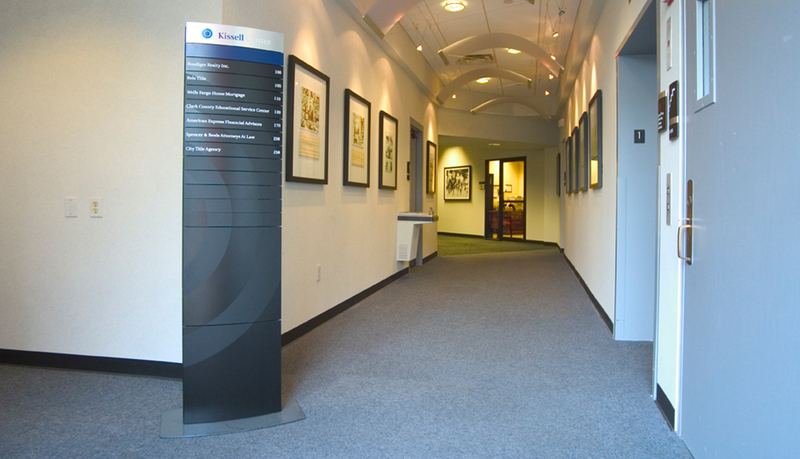 ASI consulted with Laughlin & Scanlan to evaluate project needs and ensure a turnkey solution that would be both durable and attractive. 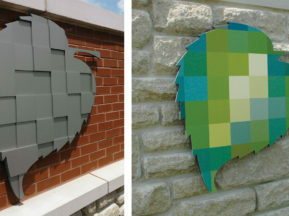 ASI recommended the Pacific signage system because of Pacific’s innovative modular design and its elegant curved-face appearance, which complements the center’s architectural features. 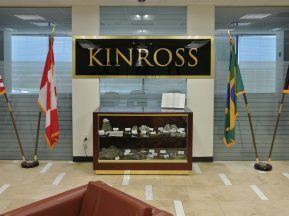 Pacific monoliths are placed inside and outside the main entrance of the Kissell Center to identify the center and provide directional assistance to visitors and tenants. 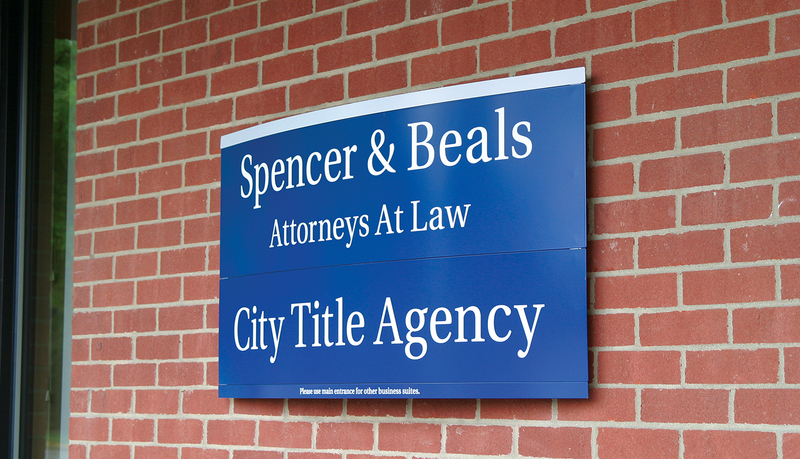 For tenant identification, Pacific’s Paperflex™ solution was chosen to allow for quick and inexpensive updates. 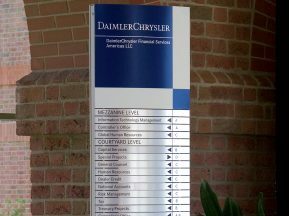 Exterior dimensional lettering was used to prominently identify the building while the Compass exterior signage system was integrated into parking entrances and walking paths to help guide visitors to their desired destination. 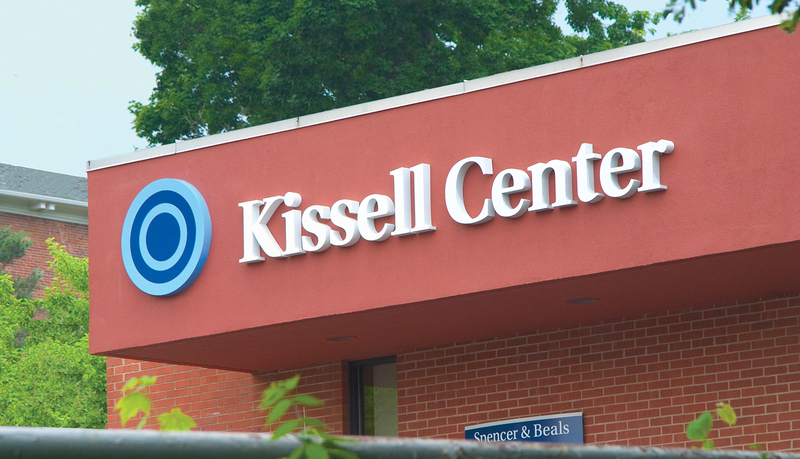 Laughlin & Scanlan also requested a branding solution for the Kissell Center. 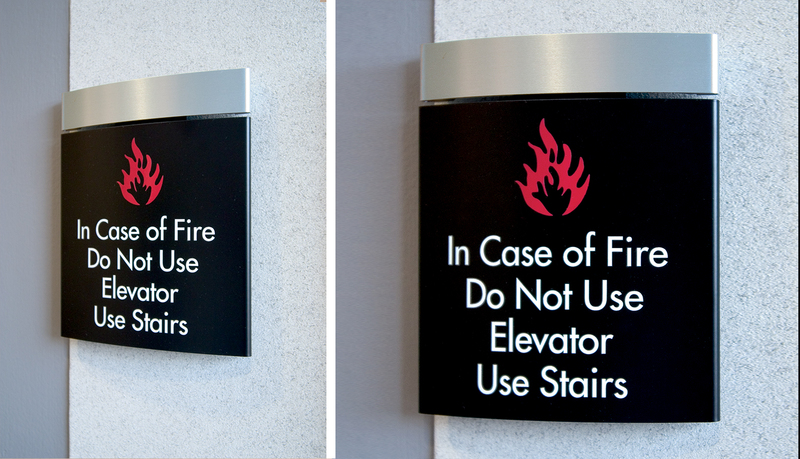 ASI designed a color scheme and incorporated the center’s logo into each sign throughout the center. 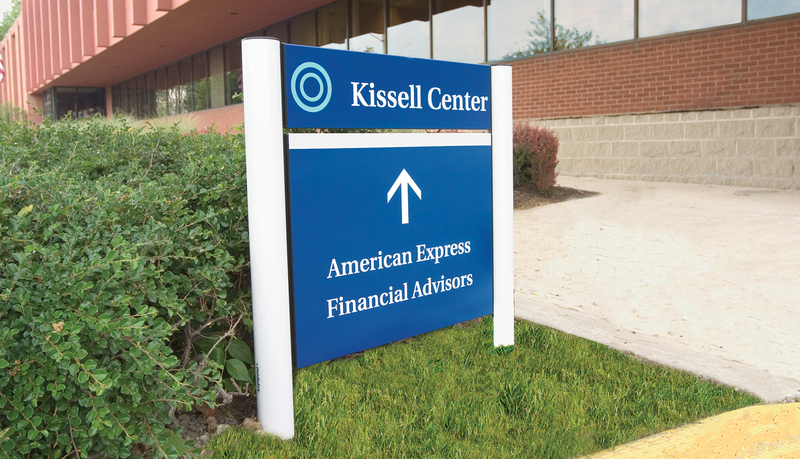 ASI delivered a turnkey signage program for the Kissell Center that provides branding solutions that will adapt with the center’s needs.